The Feed Zone Cookbook Is Now Available on iTunes! 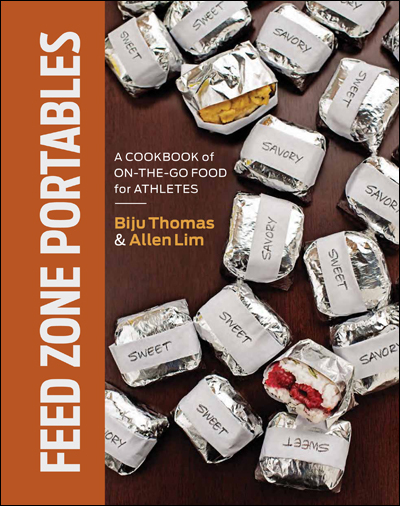 Many of you have requested an e-book version of The Feed Zone Cookbook so you could cook its great dishes from your iPad. 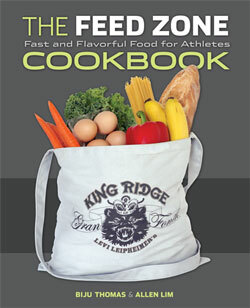 We’re delighted to announce that the e-book edition of The Feed Zone Cookbook is now available exclusively on iTunes. The Feed Zone Cookbook e-book is now available on iTunes. The full-color interior and photographs mean that VeloPress has released the e-book edition on iTunes only. Because of the very costly and time consuming conversions required to reformat the book to two new specs for Amazon’s Kindle Fire tablet and Barnes & Noble’s Nook tablet, we don’t have plans to release e-book editions for those devices at this time. Thanks for letting us know, Rick. We have not restricted its sale geographically, so maybe it will just take a little more time to propagate to other versions of iTunes? Meanwhile, we’ll check to make sure nothing has gone wrong! Awesome! Thx. PDF available otherwise? No way! We’ll get it working through iTunes eventually. Steven, are you in Canada? We have people checking on what’s going on here. Please let us know. Thanks! Okay, gang, we figured out the problem with the e-book in Canada and fixed it. It might be a day or two before the fix makes it across the border, but rest assured The Feed Zone Cookbook is on the way north! Still not finding it on the Canadian itunes. Any update? Brian, we pushed out another attempt at a fix last night. Would you give it another shot? Sorry for the inconvenience here. I just got it from the Canadian store! Thanks for the persistence guys! Sorry it took so long! And thanks very much for letting us know of the trouble. Hi guys – also not available in Australian stores – can you fix this too? I would love to purchase it! Tracey, any luck yet? We released the e-book to Australia last week. Still not in Australian store… Any plans to? Yes, we’ve figured out the problem. It’s going to take another week or so to fix it, though. Thanks for your patience. Jules, have you seen the book in the Australian iTunes yet? We released it last week, so it’s on the way. Hi there. Not available in Australia. Is there another way to download an E version. Nice, but Kindle version would have been readable on a lot more devices. Kindle Fire, possibly. The conversions are pretty pricey so we’re just waiting to break even on the iPad version before we roll out to other devices. Any chance it will be released in the Israeli store? Not in New Zealand stores. Still not avaliable in New Zealand.